Multiple Ranger players win individual awards at the annual camp in Warrenton. From July 8-11, the Estacada football squad participated at the Camp Rilea Team Football Camp in Warrenton. This was the fifth season in a row where the Rangers went down to the coast to prepare for the upcoming season. 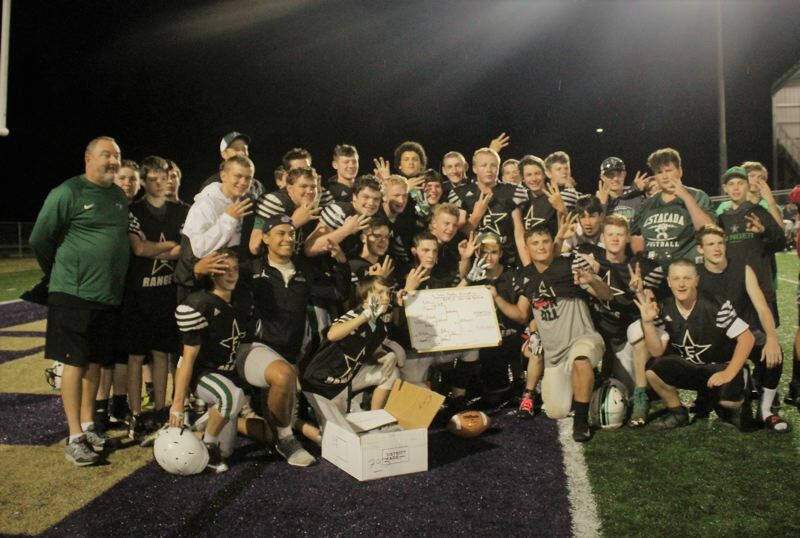 With a multitude of different squads at the camp, the Rangers got to compete in 7-on-7 games, team scrimmages and individual competitions based on position. "I'm really happy with what we took away from camp," Estacada head coach Andy Mott said. "We had a lot of success in our individual competitions and I felt like we were successful with our kids gaining confidence and getting guys prepared to step into new roles." Whether it be the likes of 3A state-runner up Santiam Christian or a 6A program in Forest Grove, Estacada was challenged by talented players from different schools all week. But whether it was a team activity or an individual competition, the Rangers were able to do more than just hold their own. The Rangers had four players win individual position competitions. Avery Dryden was the backs and receivers 40-yard dash champion and Logan Stamm won the award for best kicker. Ryan Sandidge was named the endurance champion for heavy lineman. Estacada quarterback and 2017 Tri-Valley Offensive Player of the Year Nick Keller wan a trio of awards over the course of the week — backs and receivers squat champion, endurance champion and overall champion. Keller suffered a high-ankle sprain back in June at a football camp at Western Oregon University. But even after experiencing the injury, Keller appeared to be in mid-season form. "After (Keller) got injured, we weren't sure what his status would be for the rest of the summer. But he looked like he was picking up right where he left off from last year," Mott said.